This is a fun trip for a short day. 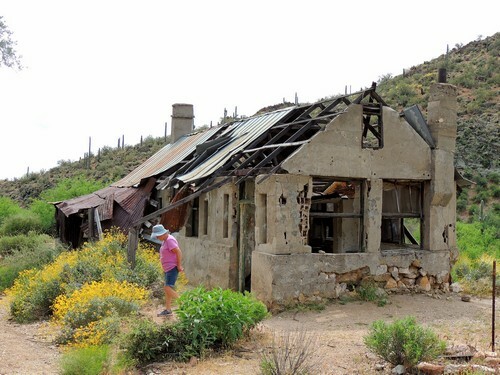 Visit a stone dam and an old miner's cabin. 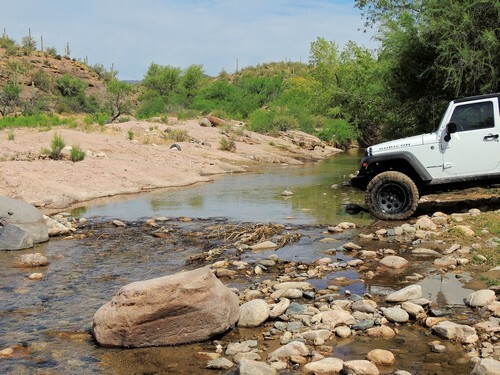 Fairly easy and not too far from town. The trail as described here is rated 2.5, but many people do some backtracking and run it as 2.0. There is a GPS/gpx track at the bottom of the page. Leave the Tip Top Mine Access Road and drop down toward Humbug Creek. 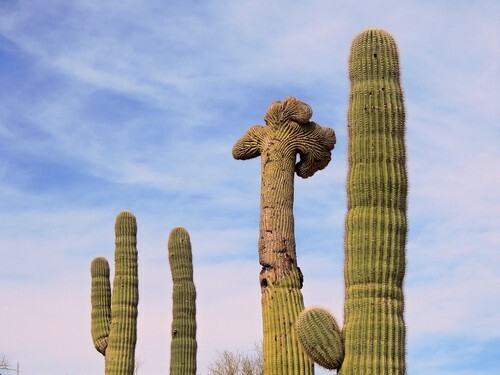 There is a crested saguaro on the way down. 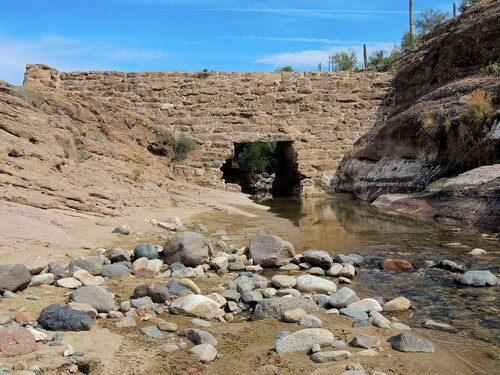 At the bottom of the last hill you will see the diversion dam pictured here. Do not be disappointed - look closely in the distance and you can see the top of the actual dam. 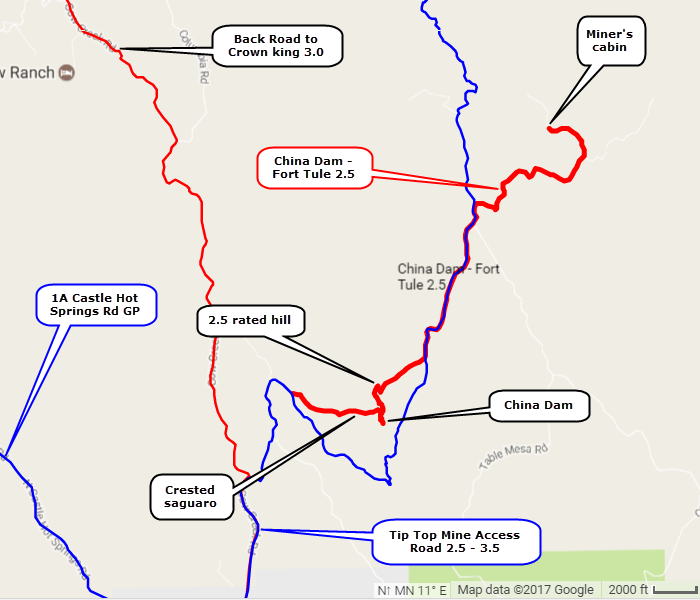 The easiest way to visit the dam is to follow the gpx track on this website. Some people have driven the track, but that probably is not a legal way to get there. Please walk. 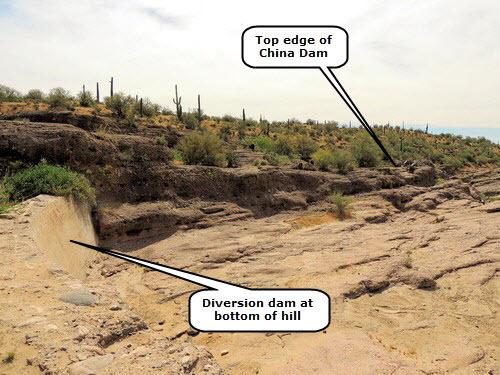 There is a hole in the bottom of the dam, but heavy monsoon rains bring too much water to flow through the hole. 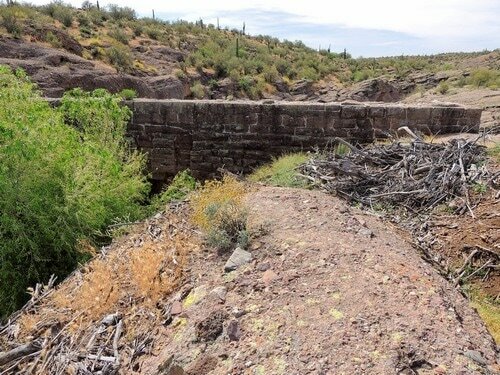 This photo shows flood debris behind the dam. 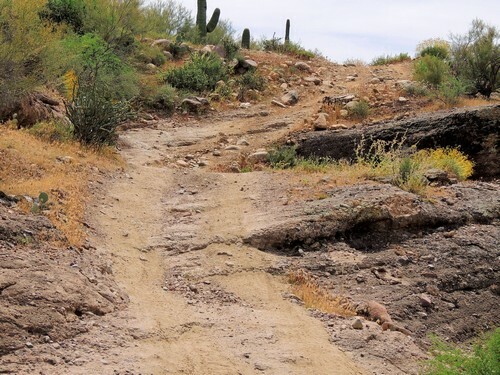 After looking over China dam many people will drive back up the road they came down, but if you can do a slightly more difficult trail follow the track to ford Humbug Creek and climb a 2.5 hill on your way to Fort Tule. APCRP says My research is finding Fort Tule may not correctly be defined, in that it may not have been a Military Fort as the name would imply. 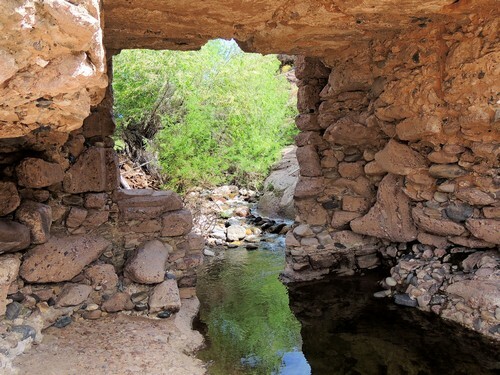 Rather it was an Indian Fortification (Fortified) on the Mountain near Tule Spring on Tule Creek. On the trip to this area you can definitely see a rock outcropping that would lend itself to this fact. We are told if you walk the mountain you can still identify foundations to rooms that were built years ago. 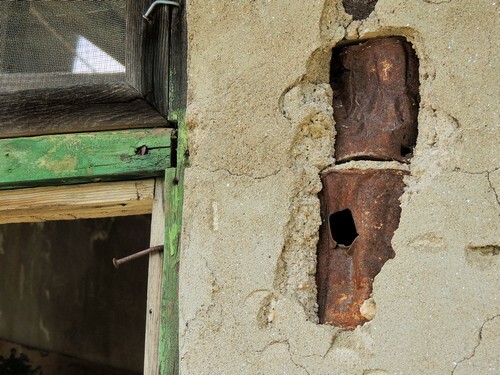 This old miner's cabin was built with tin cans embedded in the walls to save on concrete. 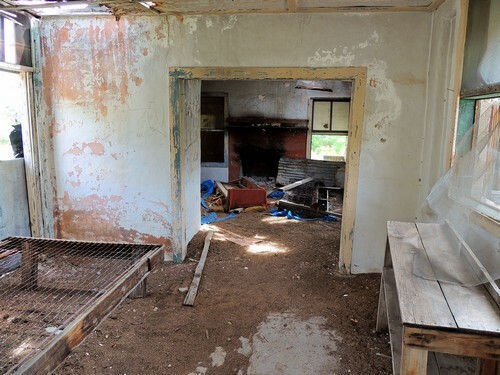 This fireplace must have been used to heat the cabin. A nice resting place for what must have been a favorite dog (Pooch). 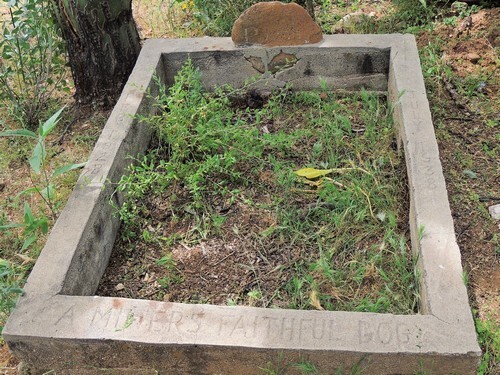 Again from APCRP: ​In researching the ground in and about “Pooch’s” grave we found the remains of two adult male graves a short distance to the south. Once again the trees have overgrown this area making it difficult to identify more graves but it is possible there are more graves.